Everybody Cut Loose as the explosive Rock ‘n’ Roll musical Footloose burst onto the stage in 2016. In fact, the tour proved so popular that it is back in 2017 including a limited West End season at the Peacock Theatre. This new production will star Gareth Gates as Willard and Maureen Nolan as Vi Moore. Based on the 1980s riveting screen sensation, which took the world by storm with its youthful spirit, dazzling dance and electrifying music. Footloose tells the story of city boy Ren who has to move to a rural backwater in America where dancing is banned. All hell breaks out as Ren breaks loose and soon has the whole town up on it’s feet. With a dynamic cast, this fast-paced show is not only packed full of amazing dance but serves up some classic 80s hits, including Holding Out for a Hero, Almost Paradise, Let’s Hear it for the Boy and of course the unforgettable title track Footloose. 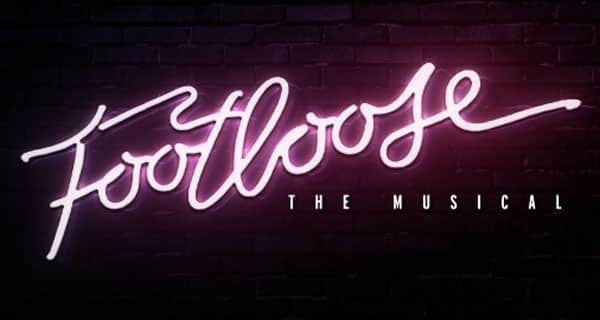 Footloose: The Musical has music by Tom Snow and lyrics by Dean Pitchford, and is adapted for the stage by Dean Pitchford and Walter Bobbie. It is based on the original screenplay by Dean Pitchford. It is directed by Racky Plews (American Idiot, West End) with choreography by Matthew Cole, design by Sara Perks and musical supervision by Mark Crossland. It is produced by David Hutchinson and Phillip Rowntree for Sell A Door Theatre Company and Tristan Baker and Charlie Parsons for Runaway Entertainment. It is presented by arrangement with R&H Theatricals Europe.